I’m back! I had a lovely vacation in San Francisco with my family, just what I needed. I plan on doing a wrap-up about the trip and sharing a few pictures too. But first, I need to get enough sleep and get back into my work groove, so please be patient with me. Thanks to all of my lovely guest bloggers last week, I loved their posts and I hope you guys enjoyed reading all of their posts too. And as I promised, after I got back and after all the guest posts I’d do a giveaway! Did you know the blog turned 3 last Friday?! I can’t believe how fast time has flown by, it seems like just yesterday I was in grad school. Sigh…my baby is growing up! Today’s giveaway, the Bare Escentuals face and eyelid primer I talked about before vacation is up for grabs! Just leave comment by Friday and I’ll pick over the weekend. Good luck! Welcome back! We missed you!! welcome back! 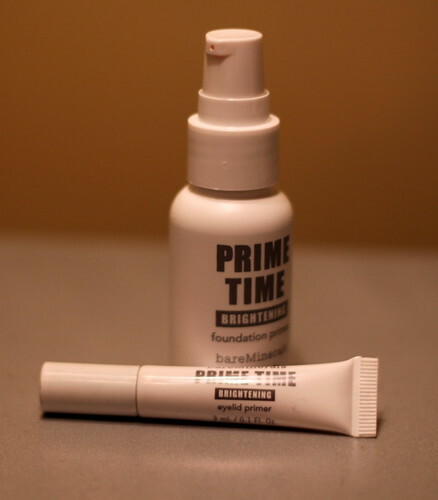 i would love to try out the new BE primer products. i recently turned 32 (ouch) and i’m looking for ways to kick up my makeup routine and retain that youthful glow i can’t seem to find anymore on my face!!! I enjoyed your guests posts on your blog. It was quite fun and very entertaining. I’ve found some new reading too! Happy 3rd Birthday to your blog and welcome back! Welcome home… where I live it’s -31C today…. My skin needs help!! loveeee bare escentuals!! I’ve been using them for about 2 years now and haven’t looked back. They have the best primer!